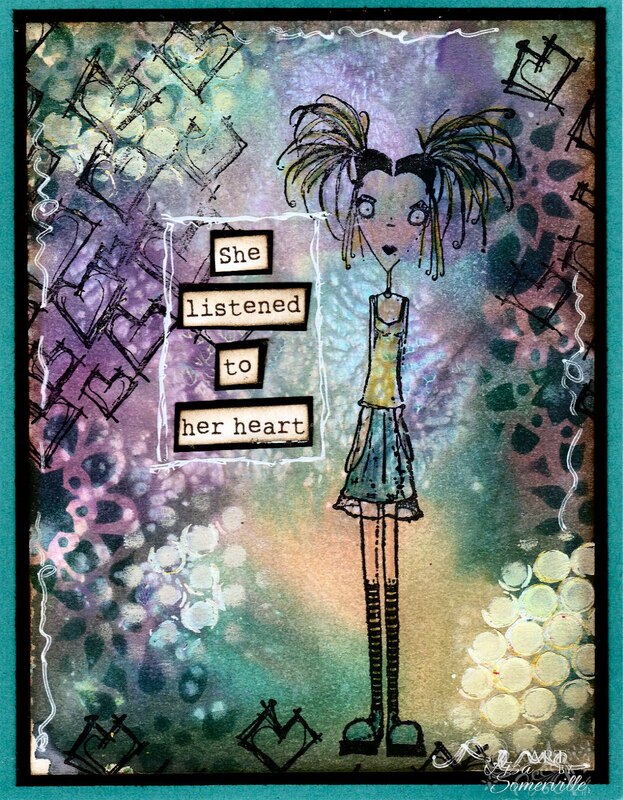 Whenever my muse seems to be hiding, I like to gather up inks, paints and my Gelli Arts Plate, and get a little messy. Inspired by the Pulled Color Technique in the August Technique Junkie Newsletter, I used the basic concept of the technique, but added my own spin for more of a mixed media piece. The image is from Stampotique, stamped in Ranger Black Archival and colored with Staedtler Egro Soft Colored Pencils. The sentiment is left over from a previous SheArt project. Lovin' this side of you.....very very cool piece, so fun! Wow, those colours are really something! Super sentiment too. Love the color on the background and that image looks fantastic with it. This is super cool Lisa! Awesome background and fun image!